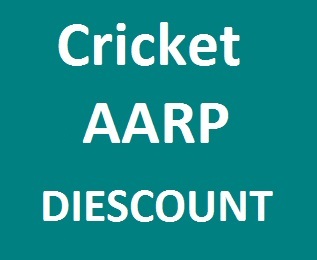 Cricket Wireless is offering special deals for AARP members. The deal is if you are an active AARP member you can save a $20 mail-in rebate Cricket Visa Card when buying a new smartphone from Cricket. Below we will explain how it works. 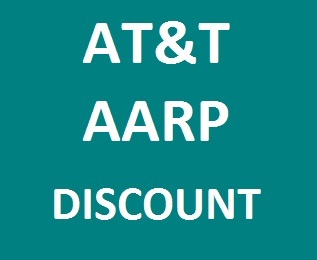 The offer is available for up to 5 lines per AARP ID. The Visa Card is only valid in the United States. 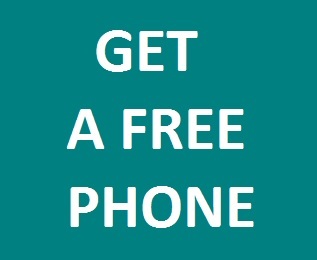 Current customers are eligible for the offer for only one phone every two years. For both new and current customers, they should pay the second payment within 45 days of activation. You should buy the phone through Cricket's online website, Cricket-owned stores, or Cricket exclusive retail locations only. Rebate form should fill and mailed within 60 days of the device activation. Consumer Cellular is (MVNO) Mobile Virtual Network Operator that runs on the AT&T's network and focused on the senior market. 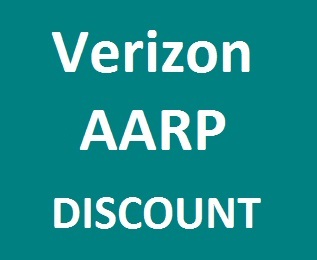 It's the official AARP provider (which offer discounts for AARP members). It offers a tailored cell phone plans and services over the AT&T's network. The Anywhere plans start as low as $10 with no minutes, the minute will cost you 25 cents. The Anywhere 200 plan, which gives you 200 minutes; you can use them at any time for only $14.99 per month. Texts plans are available separatel;, starting at $2.50 per month you get 100 text messages. Cell phones are essential for any person, especially for the senior citizens, cheap cell phone plans may be a good choice for seniors with fixed income and need to decrease their spending. But cheap plans don’t always represent the best choices. A good cell phone plans for seniors are that plans you can get at an affordable price and provide good value. Cell phone providers that offer many cell phone plans for seniors. We recommend the nationwide prepaid cell phone plans, so, you get good coverage and reception from one of the major four networks and control your payments and are free to switch from a service provider to another, here we provide a table to compare between some of the best national prepaid plans. Cell phone plans for seniors offered with extensive range options and prices. When you are choosing your plan, you have to estimate your needs and then check out the available cell phone plans for seniors. In fact, to have the best plan and price you have to compare between the plans that provide options that fit your needs, don’t participate in the famous plans or the first plan you hear about, you have to choose after comparing these plans, that will save you a lot of money. Consumer Cellular uses the AT&T network, that grantee a good coverage and connectivity. Consumer Cellular Anywhere represent one of the cheapest prepaid cell phone plans for seniors. It comes in a variety of plans that start with an Anywhere Casual plan, which cost you $9.5 per month and only pay for minutes if you use them for 23.75 cents per minute. Go for it if you use your phone rarely, if not you can get Anywhere 200 plan, which gives you 200 minutes at any time for only $14.25 per month. 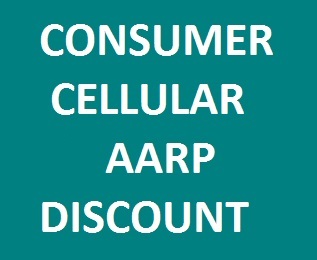 AARP members can get 5% monthy discount on the service plans and up to 30% discounts on the phone accessories. In this article we are going to talk about the AARP free cell phones for seniors, and how to qualify for the Lifeline Assistance Program or the Link Up program. This is another way like the AARP cell phone for seniors to save money. Let’s talk first about the Lifeline Assistance Program and the Link Up program. They are two government-sponsored programs that subsidize telephone (wireless and landline) companies, which leads to reducing the costs of telephone services setup. One by one that telephone companies provide free cell phones and free cell phone plans for low-income citizens including senior citizens, also check out Verizon Lifeline discount. At present, there are around fifteen million Americans have the benefits of the Lifeline program and get free cell phones and plans, but there are millions more are eligible and waiting for help. How to qualify for Lifeline Assistance Program or Link Up Program? If you are a senior, who can prove that you receive certain types of benefits from a government assistance programs such as public housing assistance, Food Stamps, Supplementary Security Income (SSI), home energy assistance or Medicaid. Also, if you are a senior who household income is at or below 135 percent of the Federal Poverty Guidelines you are eligible for the Lifeline Assistance or Link Up program. If you aren’t qualified for the free cell phone plans, you can check out the cheap cell phone plans for seniors. Also, you can check out the AARP cell phone plans. Most of the states have more than one company that provides the free cell phones and plans, the free cell phones and free cell phone plans are provided by some national carriers like Safelink Wireless and Assurance Wireless, and also other regional carriers throughout the country like Telescap and ReachOut wireless. Here we will focus on Safelink Wireless and Assurance Wireless as they cover a wide range of states in the U.S.
Safelink Wireless is a Lifeline-supported service, a government benefit program, this company is owned by Tracfone and cover around thirty-four states in the United States, Safelink provides free cell phones for seniors and free 250 voice minutes and 1000 text per month. Assurance Wireless is a Lifeline-supported service, is a subsidiary of the Virgin Mobile Corporation, and cover more than 30 states in the U.S. Assurance Wireless provides a free basic cell phone and free 250 voice minutes and unlimited free domestic text messages per month. You can also check the below video for more information. Update: Now Safelink Wireless and many other free cell phone providers offer free smartphones for seniors, but not Android smartphones, the phones have touch screen and considered old handsets. Jitterbug company provides both the Jitterbug cell phone, Jitterbug smartphone, and special designed cell phone plans for seniors, Jitterbug phones cost only $99 and are easy-to-use phones come with good features that serve the senior users such as large buttons with big, easy to read and easy to activate and an LCD with clear and high contrast text and high earpiece volume, Jitterbug offers plans for as little as $14.99 per month that give you 200 minutes and you can carry over unused minutes and no long distance fees. 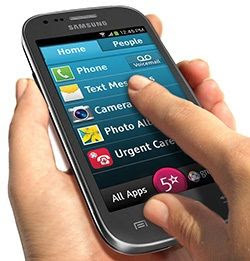 Jitterbug Touch 3 is one of the simplified smartphones for seniors available in the cell phone market; it's launched by GreatCall and manufactured by Samsung to provides easy-to-use experience including quick access to the necessary apps and services through a simplified home screen. The Jitterbug Touch 3 comes with a set of GreatCall apps, that's designed to keep seniors safer by allowing immediate access to medical and health care services at any time. Jitterbug Touch 3 is an easy-to-use smartphone for seniors that combining the simplicity of Jitterbug phones with the power of the Android operating system. It’s a smartphone that anyone can use right from the start and allows staying in touch with friends and family has never been easier. From the moment you turn it on you can quickly easily access everything that is important to you. With Jitterbug Touch 3 allows you access the internet and download health and safety apps that are specially designed for seniors citizens by GreatCall to keep you safe and healthy such as MedCoach and 5Star Urgent Response. The apps can transform the phone into your personal medical alert device. In any unsafe situation you’ll speak immediately with certified response agent who will determine your location, evaluate the situation and get you the help you need. From the home screen, you can access all the features of the phone. The phone is designed to be simple as possible, so, you can quickly reach the apps and contacts that are most important to you. There are two main tabs home and people, the home tab displays your favorite apps, and the people tab displays your favorite contacts. You can say this straight forward menu put all your apps and contacts at your fingertips, without the need for dozens of icons and multiple screens. You can also see your minutes and amount of data usage and the number of the texts you send. Android 4.3 ( Jelly Bean ). 4 inch bright, colorful display. Built in 5 megapixels camera. Up to 64 external SD card memory. GPS ( Global Positioning System ). Long lasting 1,500 mAh battery. GreatCall is a mobile virtual network operator (MVNO) which provides nationwide coverage cellular service through one of the best and most reliable wireless networks “ Verizon’s network .“ GreatCall is known as a company which catering the senior's needs by offers healthcare and safety services and products. Great Call Touch 3 is one of the best cell phones for seniors that provides smartphone experience with a simple interface. GreatCall offers minutes and data plans besides health and safety packages; here we’ll overview all types of cell phone plans for seniors offered by jitterbug. Monthly minutes plans start as little as $14.99 per month for 200 monthly minutes, the next plan you can get 600 monthly minutes for only $19.99 a month. If you need more data, you can get any of the next plans. Monthly Texts plans start as little as $3 per month for 300 texts a month, and price increase until $15 a month for 2500 text. If you need more data, you can get any of the next plans. Monthly data plans start as little as $2.49 per month for 40 MB; the next data plan is $5 a month for 100 MB, the next plan is $10 a month for 200 MB. If you need more data, you can go for any of the next plans that are explained below. Jitterbug Touch 3 can be more valuable for seniors when safety and health care services are available. We will overview the important health and safety services. For $19.99 you the Basic service package which gives you the 5Star Urgent Response to help you at emergency situation 24/7, qualified agents can determine your location and assist you when you tab on the 5Star Urgent button on the Jitterbug Touch 3. It also includes the features personal operator, the wellness call, and brain games. You can get the preferred package for $24.99. The Urgent Care app in the Jitterbug Touch 3 will allow you to call doctors and nurses anytime 24/7 to get the medical advice easily. It also includes the features Handset Replacement and Daily Health Tips. The Ultimate package for $34.99. You will activate the MedCoach app at your Jitterbug Touch 3 which acts as medication remember service. You will also get GreatCall Link app and Check-in Call service. 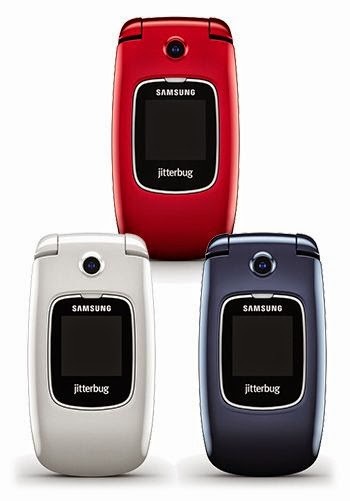 Jitterbug Touch 3 is also known as Samsung Touch 3 which is an Android smartphone manufactured by Samsung loaded with a simple user interface software which is the most attractive factor. Samsung Touch 3 launched by GreatCall and provide easy and quick access to the necessary features. Also, there are some manufactures are designing a simplified smart phones for seniors, which come with simple user friendly home screens to make it easy for seniors to access the phone features, we also preview this type in that article. Also, there is a free cell phonesfor seniors that are provided by a government program, you can check if you are qualified or not. 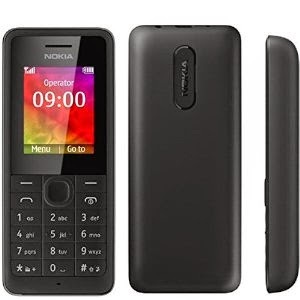 Nokia 106 represent a really cheap cell phone for senior who don’t want to pay much, it is unlocked Dual-Band GSM cell phone, that uses the GSM carriers only such as AT&T and T-Mobile. This is a basic cell phone comes with a medium size buttons, good loudspeaker, built in FM Radio which may be a preferable option by many elder citizens and built in flashlight. The Nokia 106 is available for only $29.99. Consumer Cellular Envoy considered a simple flip design phone that has more than the limited features provided by a basic cell phone, it provides features like MP3 player, 2.0MP camera, Bluetooth, availability of internet access and support MicroSD card. This device is Hearing-Aid compatible, it’s a good feature for most of the seniors. 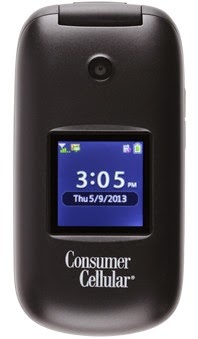 The Consumer Cellular Envoy is available through Consumer Cellular for only $35 with a Consumer Cellular plans. If you need a simple, easy to use cell phone Alcatel THE BIG EASY is your perfect choice, this phone is launched by Tracefone, it comes with a big lighted keypad buttons, large font size, built in flash light and also FM Radio. The Hearing Aid Compatible feature is one of the best features of this phone. This phone is available for only $39.99. Here we preview two of the best cell phones designed with seniors in mind. Jitterbug 5 is built by Samsung and launched by GreatCall which is a company that catering the seniors market, this phone has a really perfect features for seniors like, big keypad buttons with backlit, good contrast color display with big, easy to read numbers and characters, additional external screen, loud speakers, hands free, voice calling and is also hearing aid compatible. You can easily navigate through the menus by yes or no buttons. The Jitterbug phone is available for $99. GreatCall also provide many good cell phone plans for seniors, and offers care services like the 5Star Urgent Response service, which connect you to a Response Agent to help you as 24/7 Monitoring Service by pressing the 5 button and the star button on your Jitterbug 5 keypad. 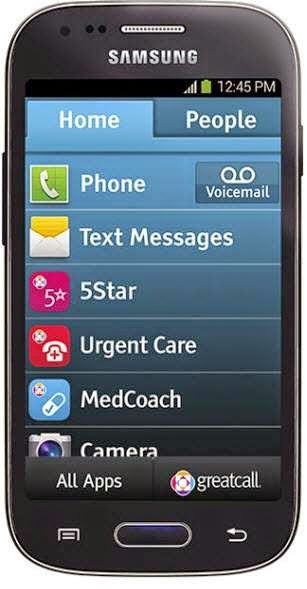 Snapfōn ezTWO is another cell phone designed with seniors in mind by the Snapfōn company. 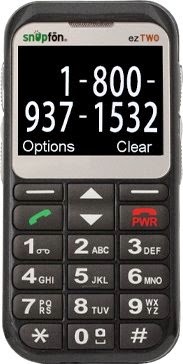 It is a senior friendly phone with many more great features such as big keypad buttons, speed dial keys, SOS Emergency Alert button, loud speaker, built in LED flash, is a hearing aid compatible phone, this well designed cell phone is available for $39.99 with any of Snapfon plans or for $89.99 and you can choose the carrier you prefer. 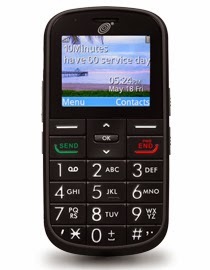 This is an Android touch cell phone that is simplified to meet the seniors low experience with technology, it is launched by AT&T, if you access the Easy Experience mode, you get an easy to use interface and easy navigate the menus, this smart phone also provides features like text prediction for faster writing and voice commands and dialing. 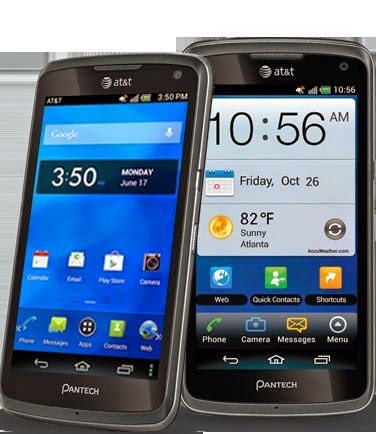 You can get the Pantech Flex from AT&T for only one dollar and 2 year contract plan.